PT Perusahaan Pengelola Aset (Persero) - PPA is a well-established state-owned financial services company in Indonesia with core business competencies in asset management. PPA engaged in investment, restructuring, advisory and financing. PT Perusahaan Pengelola Aset (Persero) was established on 27 February 2004 under the Government Regulation No 10 of 2004. 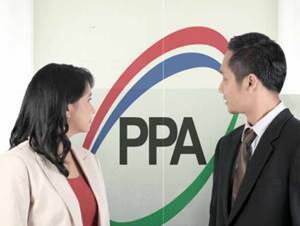 PPA is based in Jakarta and is 100% owned by the Government of Indonesia. PPA's head office is registered at Sampoerna Strategic Square, North Tower Lt 9-12 - Jl Jendral Sudirman Kav 45-46 Jakarta 12930. At present, PT Perusahaan Pengelola Aset (Persero) now has 6 subsidiaries and associates; PT PPA Finance, PT PPA Kapital, PT Nindya Karya (Persero), PT Nindya Beton, PT Pratama Persada Airborne, and PT Duta Mentari Raya. In terms of financial performance, PT Perusahaan Pengelola Aset (Persero) succeeded in achieving acceptable and sound growth in 2017. According to information found in PT Perusahaan Pengelola Aset (Persero) Annual Report 2017 as cited by JobsCDC.com, PPA posted an increase of 27.11% in total revenues from Rp5.00 trillion in 2016 to Rp6.36 trillion in 2017. Total net profit amounted to Rp326.49 billion in 2017, which represented an increase of 16.08% over total net profit recorded in 2016 of Rp281.27 billion. Minimum S1 degree from a reputable university with basic in Economics, Management, Accounting. S2 degree will be an advantage. Minimum 3 years of experience in a position related to financing / investment / funding / consulting. Previous experience in State-Owned Financial Institutions and/or Big Four Consulting Firm will be an advantage. Good initiative and team player. Willing to do business travel. Strong communication and intermediate English skills. JobsCDC.com now available on android device. Download now on Google Play here. Please be aware of recruitment fraud. The entire stage of this selection process is free of charge. PT Perusahaan Pengelola Aset (Persero) - Assistant to Senior Investment Manager PPA October 2018 will never ask for fees or upfront payments for any purposes during the recruitment process such as transportation and accommodation.